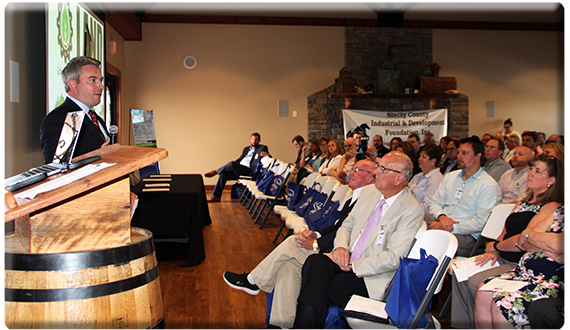 FRANKFORT, Ky. — Three economic development forums held across Kentucky this week aimed to expand the stream of agricultural products into Kentucky’s manufacturing sector, state Agriculture Commissioner Ryan Quarles said. Each forum featured presentations from Commissioner Quarles, Higdon, regional agricultural leaders, and industry management discussing successful collaborations and referencing resources to foster additional development. Each program included a Kentucky Proud lunch with locally sourced farm ingredients.